So here it is! 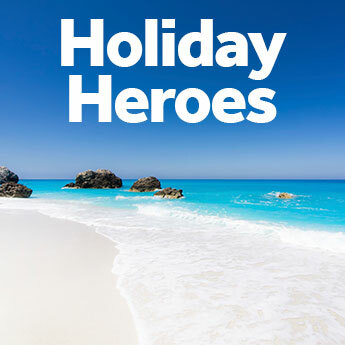 This is our final shortlist for Holiday Heroes, a place where icelolly.com want to recognise unsung heroes and reward one lucky person with a family holiday to Majorca – something they may not be able to do otherwise for one reason or another. In this shortlist there are 9 deserving members of the public from firefighters and charity workers to football coaches and foster parents. They have all been nominated by their friends or family but it is your support they need to win a well-deserved holiday. 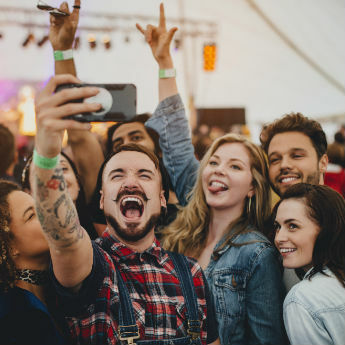 So read the stories below and choose which one you think should be this year’s icelolly.com Holiday Hero! 38 year old Peter from Hartlepool, Cleveland has been the coach of his U11’s football team for over 5 years and has provided a fun and supportive setting for kids in the local community to play football, after the original club nearly folded. Peter has worked hard to train as a coach and now keeps the club going as a volunteer, often giving up time with his family at the weekend to coach the local football team. Like a lot of Mums, Hilary has always put her family first and has sacrificed a lot to look after them. She has sacrificed so much that she was never able to go on honey moon with her husband Trevor, who Hilary has been married to for 42 years. Hilary’s son nominated her because he believes his Mum and dad, Trevor need quality time together especially as Trevor is poorly at the moment. Charlene began the RockUs Choir over 4 years ago with 4 people in her local community of Paisley, Scotland. The choir has grown so much and now brings together over 100 people from all different backgrounds. RockUs Choir also supports local charities on the local area and Charlene brings a ray of positivity into an otherwise deprived area. Nicola suffers from Ehlers Danlos Syndrome, a condition that causes disorders of connective tissues in the body which provide support in skin, tendons, ligaments, blood vessels, internal organs and bones. This has led to Nicola needing many surgical procedures and means that she is constantly in a wheelchair or wearing leg braces. Ehlers Danlos Syndrome also causes a lot of pain. Nicola has been nominated by her friend Marie who, after knowing that Nicola suddenly lost her Dad earlier this year, feels inspired by Nicola’s positive attitude and outlook on life. Despite the difficulties of her condition, Nicola is a fantastic mum to her two sons and is training to be a sign language interpreter. 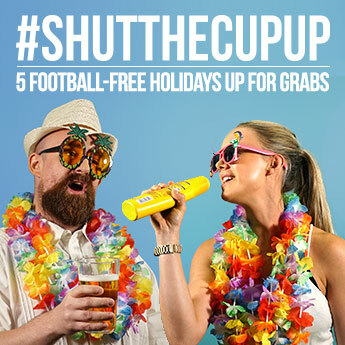 She’s never had a holiday abroad with her children, and would be overwhelmed if she won a trip to Majorca. Sali has a hand in all kinds of charitable causes! She volunteers for the Little Princess Trust and was the brains behind the annual Pink Car Rally fundraiser, which has been going for 8 years. Sali was nominated by Lisa Slaney, whose daughter Corah was diagnosed with Mitochondrial disease in 2014. Sali set up the charity AChorus4Corah, raising money to allow Corah’s father to take time off work in their daughter’s final months and even helping Corah to meet Jessie J and Olly Murs before she passed away. Sali has done all this alongside running her own business, raising 3 children as a single parent, and chairing and fundraising for her son’s PTA. Nadine and Brian have been foster parents for over 15 years and, as well as fostering 10 children – one who has recently gone to university – they are part of their local fostering association and organise parties for foster children. They have been nominated for being great support for foster children in Nottinghamshire and the main reason they do it is because they want to try and make a difference to the children they welcome into their home. After being born early with a twisted heart, Zoe was not expected to survive but she has proved her doctors wrong and has since completed her A Levels, gained a degree and gone on to find a job as an Adolescent Mental Health Activities Coordinator and Nursing Assistant. It has not been an easy road though as Zoe has had to have major heart surgery throughout her life and during university, a defibrillator needed to be fitted which meant that it took Zoe an additional year to complete her degree. Zoe’s Mum nominated her because they never know what lies ahead and is so proud to be able to call Zoe her daughter. Vote for Zoe. Susan, a retired mental health nurse, has been nominated by her friend Rosie for being one of the most selfless people she knows. The two friends met over 40 years ago at a nightclub and she has since been the most kind and caring friend. Unfortunately, just as Susan was about to retire, she collapsed and was diagnosed with having a brain tumour which has meant she has had to give up a lot of things she was looking forward to doing in retirement. This hasn’t stopped her helping people in the community as she volunteers in a charity shop and cooks and shops for a friend who has heart problems. Rosie thinks that Susan is an unsung hero that is an inspiration to others. Richard and Dawn are the co-founders of Holiday for Heroes Jersey, a charity that provides Jersey holidays for injured British veterans to give them valuable quality time with their loved ones. The charity was launched 7 years ago and has had almost 2000 guests in that time. The couple, who came up with the idea of providing holidays for injured service personnel at a Remembrance Day Service in 2007, aim to provide a one week holiday on Jersey for any member of HM Forces that have been injured in body or mind during service.